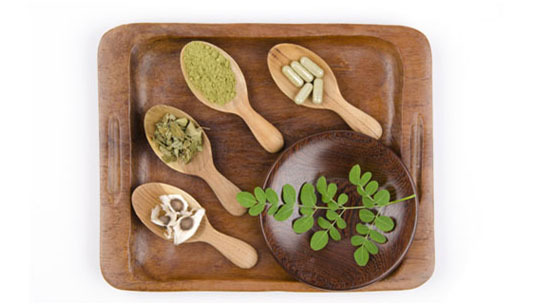 There's a lot of buzz about moringa and its potential to improve human health. What are the facts behind the hype? The superfood known as moringa (from the moringa tree) contains several thousand times more of the powerful anti-aging nutrient zeatin than any other known plant — and that it also has two compounds that prevent cancer and stop tumor growth. As someone who had just written about dietitians' reluctance to use the term superfood, I confess to being a touch skeptical. That said, moringa does have a long history of use that dates back to the ancient Greeks, Romans and Egyptians, not to mention a wealth of culinary and traditional medicinal uses. But are the claims being made backed up by scientific evidence? Originally cultivated in Northern Africa and India and used to feed both humans and cattle, the tree has since been adopted across much of the globe, including Central and South America and Southeast Asia. The Honduran government, for example, has promoted moringa agroforestry as a potential solution to deforestation. International charity Trees for Life has gotten behind moringa in a big way, claiming that it may hold the key to combating malnutrition in areas where food insecurity is rife. Claiming that the leaves of the tree contain more vitamin A than carrots, more calcium than milk, more iron than spinach, more vitamin C than oranges, more potassium than bananas, and a protein quality comparable to milk or eggs, it's not hard to understand what has gotten superfood enthusiasts (and marketers) excited. Jed W. Fahey, a researcher at Johns Hopkins School of Medicine, argues that there is plenty of evidence to back up Trees for Life's assertions about the nutritional benefits of moringa for poor communities. Even some of the claims being made around medicinal benefits, specifically the potential for antibiotic and anticancer applications, have been shown to have some merit in clinical trials. As with many reports of the nutritional or medicinal value of a natural product, there are an alarming number of purveyors of “healthful” food who are now promoting M. oleifera as a panacea. While much of this recent enthusiasm indeed appears to be justified, it is critical to separate rigorous scientific evidence from anecdote. Those who charge a premium for products containing Moringa spp. must be held to a high standard. Those who promote the cultivation and use of Moringa spp. in regions where hope is in short supply must be provided with the best available evidence, so as not to raise false hopes and to encourage the most fruitful use of scarce research capital. Given that a recent search of the Internet showed up dozens of companies marketing moringa "superfood" powders, capsules and even shampoo, consumers would do well to assess the claims being made by marketers with a critical eye. (It's also worth noting that WebMD warns pregnant and nursing mothers to avoid moringa due to potential complications.) Human history is full of examples of fascinating, useful and powerful discoveries from the plant kingdom. It's also full of examples of quackery, hyperbole and jumping the gun. There seems little doubt that moringa can play a powerful role in fighting hunger and malnutrition. Whether it can also help us health food enthusiasts to live forever remains to be seen.